Should I Get A Bay or Bow Window? When I first got involved in the replacement window industry back in 2006 my wife explained to me how happy her mother was when she had a new bay window installed into her home. A replacement window company had knocked on her door and set up a free estimate. This free estimate eventually lead to her replacing all the windows in her home including a large front window which she turned into an elaborate bay window. My mother-in-law no longer live in this house but she still drives by every once in a while just to see her beautiful bay window. Decorated with ornate chocolate-brown trim bent into perfect curve hugging precision, this bay window evokes emotions of a different time when leaded glass and horse-drawn carriages were the norm. Unlike a traditional window, a bay or bow-window will truly transform a home in ways you can’t imagine! 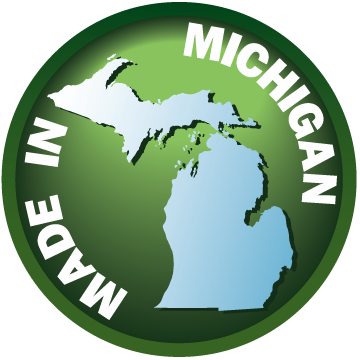 In the past ten years, I have sold and installed countless bay and bow windows for many Michigan homeowners. Some that opened and some that didn’t but all built with immaculate attention to detail and precision. 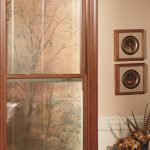 No other window has the ability to so drastically change the character and beauty of your home. Once you make the decision to have a bay or bow-window installed, you will then have to decide which one you want to go with. 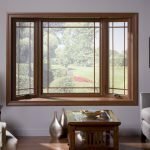 While bay and bow windows are similar in construction and function, there exists many differences that will inevitably cause you to choose one design over the other. Lets take a look at these curb appeal and transforming windows. 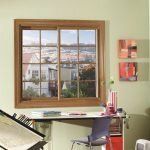 At first glance, bay and bow windows are very similar and are even sometimes confused as being the same window with 2 names. Both windows protrude from the home and provide a place to set things while allowing a greater amount of light into a room. 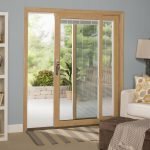 There are however, many differences that will help you decide which window style is right for your home. 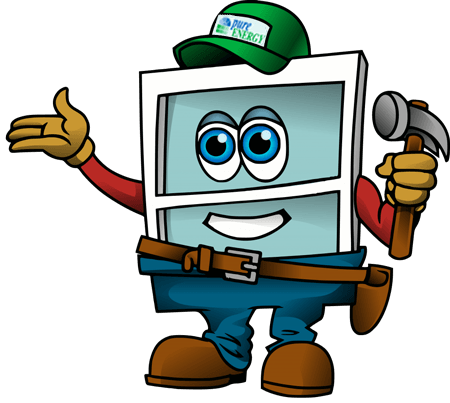 Bay windows have 3 windows while a bow-window is constructed with 4 or more window units. The overall configuration of a bay window is | 1/4 | 1/2 | 1/4 | while the configuration of a bow-window is almost always in equal parts, | 1/4 | 1/4 | 1/4 | 1/4 |. The angular lines and flat planes of a contemporary bay window is most often found in more modern homes, while the semi-circular outer structure of a bow-window is more appropriate for a Victorian style home. Of course, either type is perfectly acceptable for just about any style home. With an average protrusion angle of 35°, a bay window will give you a larger interior seat on which to place pictures, plants or just about anything you want. Bow windows have a more gently curve and a narrower interior seat with only an average protrusion angle of about 10°. Bow windows will allow a greater amount of light into the room because there are more panes of glass and less window material. 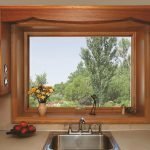 Bow windows are typically used when attempting to create a focal point window on the front of a home and the window opening is particularly large. 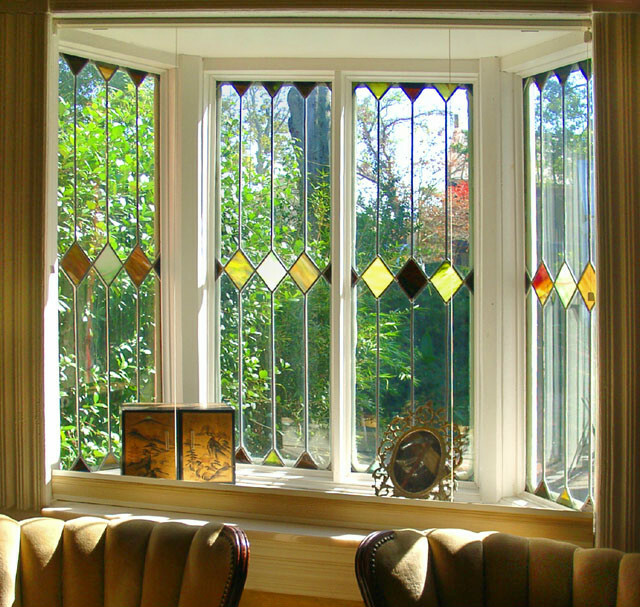 Since bay windows are composed of only 3 windows, they are seldom used in larger openings. 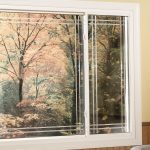 Whether you choose to have a new bay or bow window installed, this decision will have a tremendous impact of both the look and feel of your home. 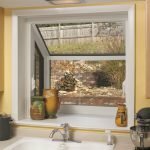 If you are ready to explore whether a new bay or bow window is right for your home, give Pure Energy Window Company a call today. 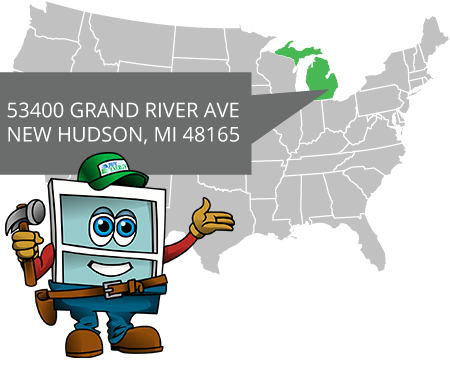 We have professionally trained replacement window reps ready to assist you. 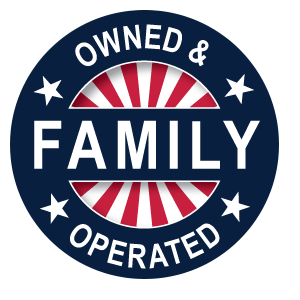 Give us a call today to setup a Free No-Obligation In-Home Estimate!